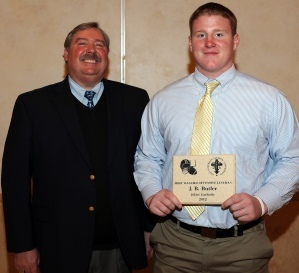 ESCC Player of the Year Jack Toner with Benet Academy Coach Pat New. 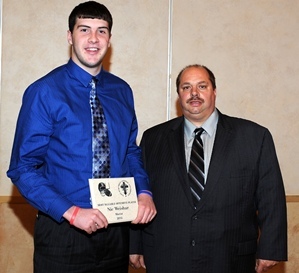 Marist assistant Jim Tarqueno with ESCC Offensive Player of the Year Nic Weishaar. of the Year J.B. Butler. 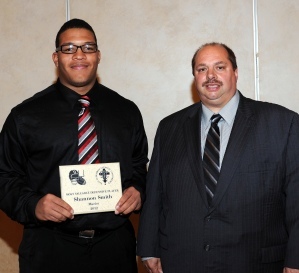 Player of the Year Shannon Smith. 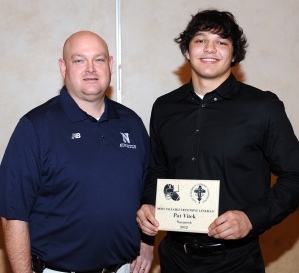 of the Year Pat Vitek. No part of this publication may be reproduced, transmitted, transcribed, stored in any retrieval system, or translated in any form without the written permission of the East Suburban Catholic Conference.